Gateworks is proud to announce the release of Android KitKat for it’s family of Ventana SBCs. 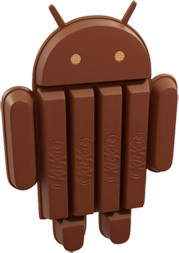 The source and pre-built images for Android 4.4.3 (KitKat) have been released. Freescale has added manyIMX6 performance and stability improvements. Newer 3.10.53 based Linux kernel which has many improvements. Freescale has verified that their Kitkat 4.4.3 BSP (which Gateworks BSP is sourced from), passes Android Compatibility Test Suite (CTS 4.4_r3). We recommend everyone switch to this new branch for all future Android support. Gateworks would like to announce the availability of OpenEmbedded Yocto 1.7 ‘Dizzy’ for the Ventana Family of SBCs. Yocto is the Linux distro that Gateworks supports for Video and Audio applications. Yocto 1.7 is an update ofYocto 1.6 with many smaller changes to note, primarily in the form of package and buildtool updates.To stay inline with Freescale’s Yocto BSP, the proven 3.10.17 kernel is being used.